Fantasy RPG with heavy influence on battles between warring fractions. 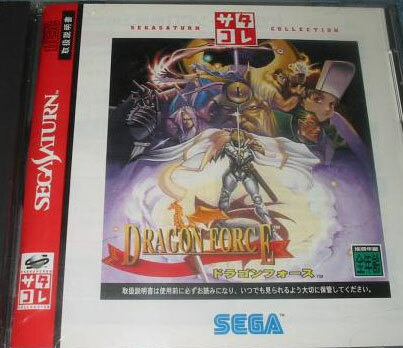 Sega style anime graphics and multiple storylines. Second hand. Edge 45, 8/10. 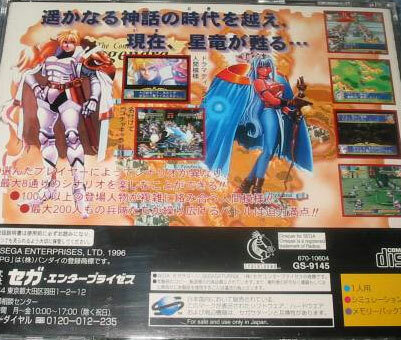 Edge Saturn Collector's Guide, top five RPG's. Comes with game map, though it has slight creasing. Light manual cover wear and impressions. Slight disk scratches.